Really? Do you need anything more than that? Shiny. Gold. Hearts. PEOPLE! As you know, I am totally loving the Simon Says Stamp October Card kit. I have already made four cards from it and I have at least two more in mind to create as soon as I have some time! I am LOVING it! That hello die!!! For reals, you guys! It's so fabulous! 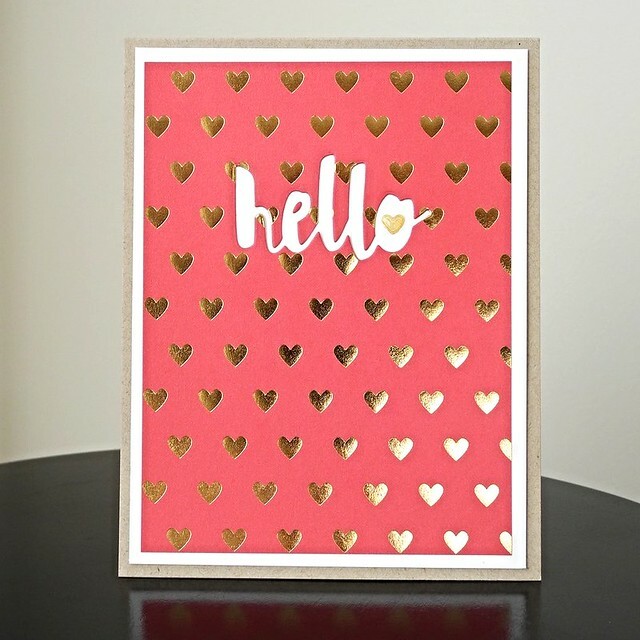 I used the negative of it for this card and added a small gold stamped heart from the I See You Stamp set using the gold Brilliance ink in the kit. Super love! 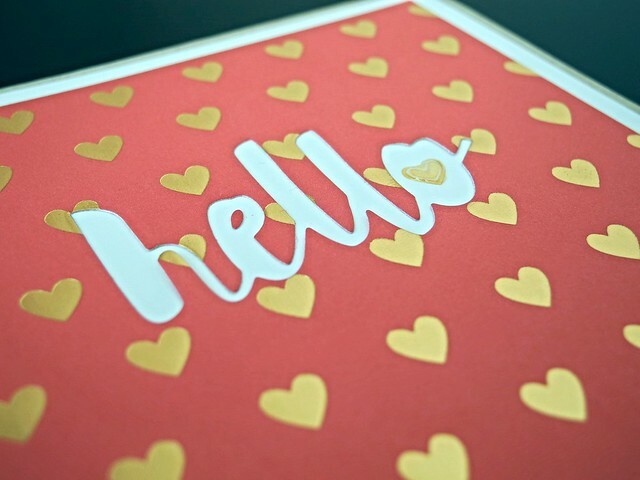 I added just a touch of Glossy Accents to make that tiny heart shiny. Because shiny. I can't wait to see what you create with this kit! For reals! All links in this post are affiliate links. Your support is appreciated. CAS perfection. I love this! Bravo!